Chris Woollams new book ’Heal your Gut - Heal your Body’ tells us that, over a number of years your gut microbiome bacteria become ill, the make-up and balance of your microbiome changes and, as a result ... YOU become ill. Ultimately, this can lead to cancer, arthritis, Alzheimer’s, diabetes, strokes, MS, heart attacks and more. The early signs might simply be an upset stomach, food poisoning, candida, a rash, an allergy or unusual fatigue; hardly noticed, quickly forgotten. Or it may be worse - a gut problem like IBS, colitis or Crohn’s, or even chronic fatigue syndrome or fibromyalgia. The problems are building. As Hippocrates said, "All illness starts in the gut". 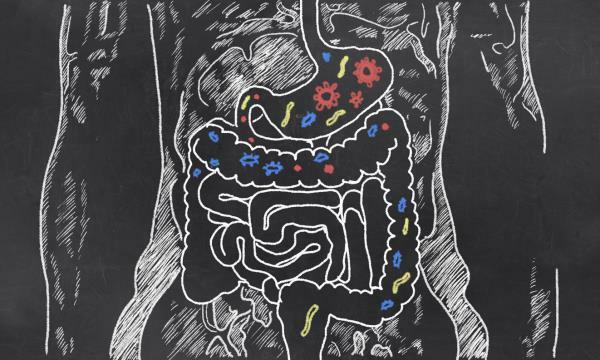 Chris uses the very latest research to tell you the Truth about what is really going on inside your gut, and then crucially he tells you how to fix it because ... research shows you cannot get better until your microbiome gets better! You can lose the good bacteria because of drugs (including chemotherapy, steroids, antibiotics and PPIs), or you cause it yourself (stress, poor diet, too much sugar, salt, smoking or binge drinking), or you pick up a parasite (easier than you think). This can happen over a 20 year period or more; the pathogens, yeasts and parasites can stay with you, dormant. All can seem normal but with every small dose of antibiotics or stress, or a prolonged period of poor diet and sugar cravings, the ’good’ decline and the ’bad’ slowly but surely come out to play. The book covers so many illnesses - for example, IBS, Crohn’s, colitis, Alzheimer’s, dementia, Parkinson’s, cancer, diabetes, obesity, heart disease, strokes, chronic fatigue syndrome, fibromyalgia, autism, arthritis, eczema, Hashimoto’s, allergies, rashes and even coughs, colds and ’flu. Within the area of cancer it explains colorectal cancer, but will tell you why, for example, you may have breast cancer, prostate cancer, liver or pancreatic cancer. *** WARNING - why you must take action yourself, starting today! Be clear: Your average doctor has not got a clue that these chronic illnesses stem from a bad gut microbiome, and he/she will get out the drugs to ’treat you’ and almost certainly make matters worse. 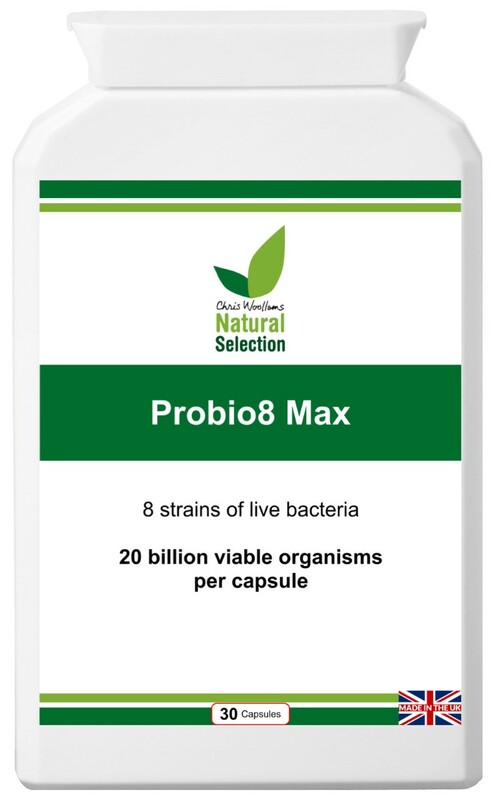 One CANCERactive patient who told her oncologist she was taking a probiotic was told ’You don’t need to do that - it’s all rubbish’. *** WARNING - You need this book after finishing chemotherapy! One of Chris’ particular concerns is people who have had surgery and/or chemo for their cancer. They are sent home happy, only for the cancer to return four or so years later. Why did it return? Because the orthodox treatments damaged the patient’s microbiome and the gut wall. And, if you don’t heal the damage, the cancer is far more likely to return. As Chris says, "You MUST fix your gut flora, or microbiome, regularly - it’s the biggest and most important organ in your body. The truth is you rely on your bacterial friends to provide so much. At any one time 38% of the small molecules in your blood stream come from them, not you! They control your physical and mental biochemistry. They can make you ill; or they can heal your whole body. It’s your choice. And this book will help you sort it all out." This latest edition spells out the problem and tells you how to fix it. Please Note: We are a charity and ONLY we distribute the book. Therefore our agents in the UK, USA and Australia are the CHEAPEST way of buying the book. You can buy it on Amazon and so on, but you will actually pay more!